The Schroeder Farm is located on the east-side of Indiana near New Castle, IN. We raise quality Ameraucana chickens the old fashion way, with daily access to acres of natural grasses, wildflowers and insects. We never use antibiotics, hormones or anything unnatural. We even refuse to use medicated feed. By maintaining an extremely clean environment, only feeding the highest quality food, and by giving our chickens daily access to pasture land, our birds are strong and healthy without artificial anything. We started a few years ago with day-old chicks mailed to our farm from top breeders around the country. We strive to achieve the Standards of Perfection in our chickens, while maintaining vigorous egg laying behavior. We exhibit our prized specimens at shows throughout the Midwest. Check back with us for photos, and news of our progress. We strive to achieve the standards of perfection in our chickens, while maintaining vigorous egg laying behavior. We exhibit our prized specimens at shows throughout the Midwest. My eggs are priced at $3.00 a dozen, while each dozen includes some of the smaller, pullet eggs. Ameraucanas are one of the newest breeds recognized by the American Poultry Association (APA). 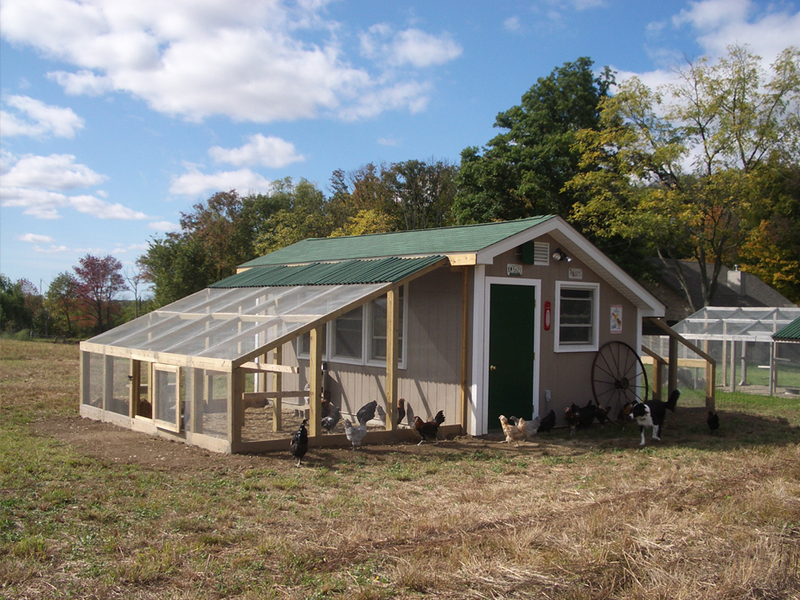 Big, Small, and Two Seater coop construction details, including floor plans for each one available. 2018 Schroeder Poultry © All rights reserved.